For those confined to a wheelchair, finding adequate transportation isn’t always easy. 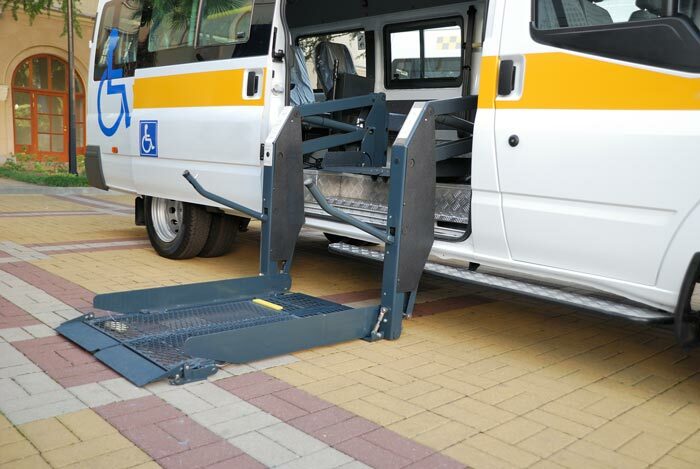 If you don’t own a specially-equipped van or have access to accessible public transport, your mobility is hindered even more. That’s why B & B Transportation, LLC goes out of its way to offer full-service wheelchair transportation in Tucson, AZ. Our ADA-compliant vehicles are equipped to accommodate persons confined to a wheelchair, offering safe and comfortable transport to wherever you need it. We can load, transport and unload wheelchairs of all types and sizes, ensuring our riders aren’t ever put in harm’s way or forced into uncomfortable situations. Your comfort and peace of mind are our top priority. We offer handicap transportation in Tucson, AZ for a number of reasons—whether you just need a ride into town or you’re headed to a medical facility for treatment. Our drivers are respectful and knowledgeable—we’ll get you to where you need to go without delay or setback. And, with services available 24/7, you’ll never have to worry about finding wheelchair-accessible transport at any time of day or night! As the premier provider of non-emergent medical transport, we’re also equipped to handle stretcher transportation. If your loved one needs to be laying down while on their way to a medical facility, we’re able to transport them safely. Our vans accommodate full-sized stretchers, with non-invasive loading and unloading. Whether you’re confined to a wheelchair or your loved one is laid out on a stretcher, B & B Transportation, LLC is ready to deliver the utmost in delicate, compassionate transport. We treat every passenger with the respect they deserve, no matter their situation or destination. For more information about our wheelchair and stretcher transport services, please contact us today by calling 520-883-0384. We’re happy to schedule your appointment and arrive promptly on-time to pick you up.